The Sony PlayStation 2 (PS2) kit contains the console, two controllers, power cable, RCA cable and 128 MB memory card. 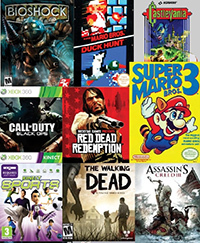 Gelardin has a collection of video games for NES, Wii U, PS3, PS4, and Xbox 360. The NES Kit contains a console, two controllers, power source, RCA cable, and RF switch. 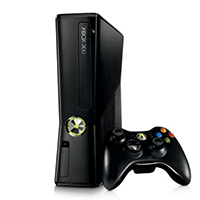 The Microsoft Xbox 360 contains a console, two controllers, power cable, HDMI cable, and Xbox Kinnect sensor. 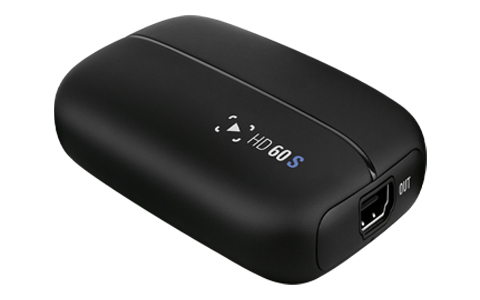 The Sony PlayStation 3 (PS3) contains a console, controller, power cable, HDMI cable, and USB cable. Gelardin's Sony PlayStation 4 (PS4) Kit contains a console, two controllers, power cable, HDMI cable, and USB cable.